Every business has at least one trademark, whether it is simply their public business name and, a perhaps a line of products or services. Taking the additional step of registering your trademark with the United States Patent and Trademark Office (USPTO) confers additional rights and privileges that make it much easier to prove the validity and enforceability of a trademark. While U.S. trademark rights generally stop at the border, we can also assist in protecting your trademarks in other countries. We have handled (either directly or via supervising foreign associates) trademark registrations in numerous other countries. We also help you enforce your trademark rights against others, and defend trademark infringement claims made against our clients. Search for availability: We conduct trademark searches to determine if your mark is already being used. Draft and submit: We carefully draft and submit your federal trademark application to the USPTO and/or foreign jurisdictions. Licensing and Transactions: We can assist with trademark licensing and assignment agreements so you can effectively utilize and monetize your marks. Enforcement of your trademark: We can represent both plaintiffs and defendants in a trademark infringement disputes, including investigations, “cease and desist” letters, consent/co-existence and settlement agreements, and lawsuits, if necessary. In many instances, we can offer USPTO trademark search and application preparation services on a “Flat Fee” basis. 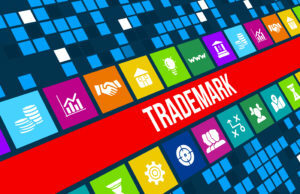 CLICK HERE for info on our Flat Fee trademark registration applications.